Carleton’s journalism school is more than a professional training ground. It’s an intellectual hub for faculty and students involved in journalism studies scholarship, research and public discussion about journalism’s past, present and future. The endowed Annual Kesterton Lecture series, which began in 2000, is the Carleton Journalism program’s signature public event. In recognition of the pioneering contribution of journalist and journalism history scholar Wilfred Kesterton, the lectures examine the future of journalism while honouring its past. 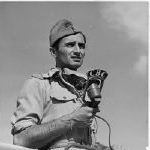 The endowed Annual Peter Stursberg Foreign Correspondents Lecture honours the legacy of famed Canadian war correspondent Peter Stursberg, and recognizes the importance and impact of journalism that bears witness in troubled areas around the world. Throughout the academic year, we explore different aspects of journalism and its place in the world with a series of special events featuring prominent journalists. 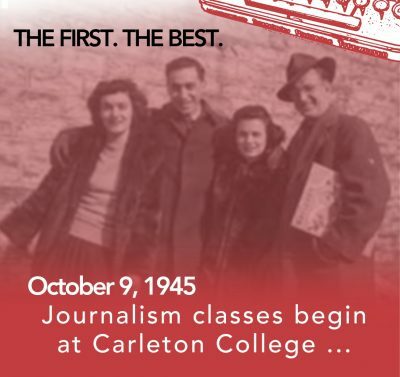 Carleton University’s journalism program — the oldest and most renowned in Canada — held its first class in a downtown Ottawa meeting hall on Oct. 9, 1945. 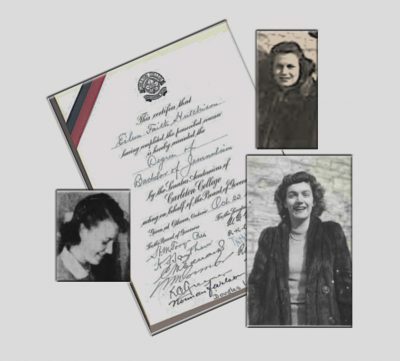 A year later, the Journalism School’s first degrees were conferred on three students. They were all women. Fast forward to the year the journalism program leapt with both feet into digital with the creation of Capital Current.